Do you let your kids play in the dirt or have hand wipes ready for them at every turn? In a society that fears dirt and considers it undesirable, science is showing that we are losing diversity of bacteria on our skin and in our guts which impacts our immune systems and our brains. 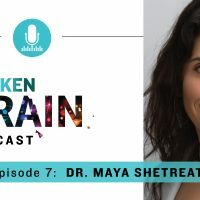 In our 7th episode of The Broken Brain Podcast, Broken Brain Executive Producer Dhru Purohit and Dr. Maya Shetreat—dirt expert, neurologist, and Functional Medicine practitioner—talk about the role of dirt and microbes in the body. In this discussion, you’ll learn all about hormesis, how small stresses actually stimulate the body to become more resilient. 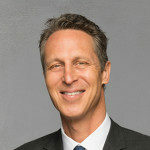 Plus, Dr. Shetreat talks about many ways to get your children outside (let them play in dirt…let them eat some dirt!) and the importance of a whole body approach to health that includes the physical, emotional, and spiritual. This episode is packed with tips for parents and caregivers to cultivate a healthy microbiome in little people. Even if you’re not caring for little ones, you’ll be encouraged to put down your phone and take a walk in the woods. PS: If you’d like to learn more about Dr. Shetreat’s book The Dirt Cure or The Terrain Institute, you can find her at www.dirtcure.com.